Mobile trading for iPhone, iPad and Android for your S5 Trader. Monitor and manage your trading account with S5 Mobile from anywhere. 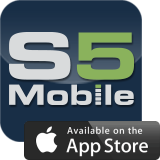 S5 Mobile is immediately available to you with your S5 Trader account either on Demo or Live. 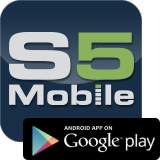 S5 Mobile is free to download, install and monitor your S5 Trader account at Stage 5 Trading with OEC in REAL TIME. If you trade using the application, there is a $0.25 additional fee per filled order in addition to the standard commission rate, exchange fee, and NFA fee.